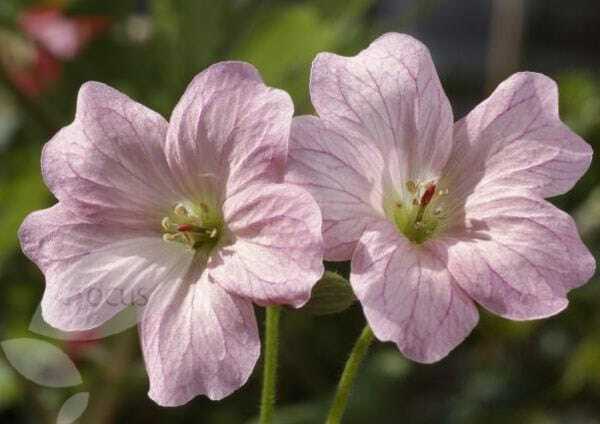 A vigorous and long flowering cranesbill, that forms attractive clumps of deeply divided, noticeably veined, evergreen foliage. From late spring to mid-autumn, open clusters of salmon-pink, funnel-shaped blooms appear, fading to blush as they mature. I HAVE THESE IN THE BOARDER, THEY LOOK LOVELY AMOUNTS THE OTHER PLANTS AND AROUND SHRUBS. THEY ARE GREAT FOR FILLING OUT THOSE EMPTY SPACES AND ALSO GROUND COVER. Bought as part of a pink/white border. Added to my collection of geraniums as they give great ground cover and are easy to grow. They have survived a hard winter. Great plant delivered in great condition. Good and healthy plant arrived. I have several hardy geraniums and wanted a pink one. I planted it at the end of last summer in a pot for my patio and it is shooting already (February) after having been outside all winter. 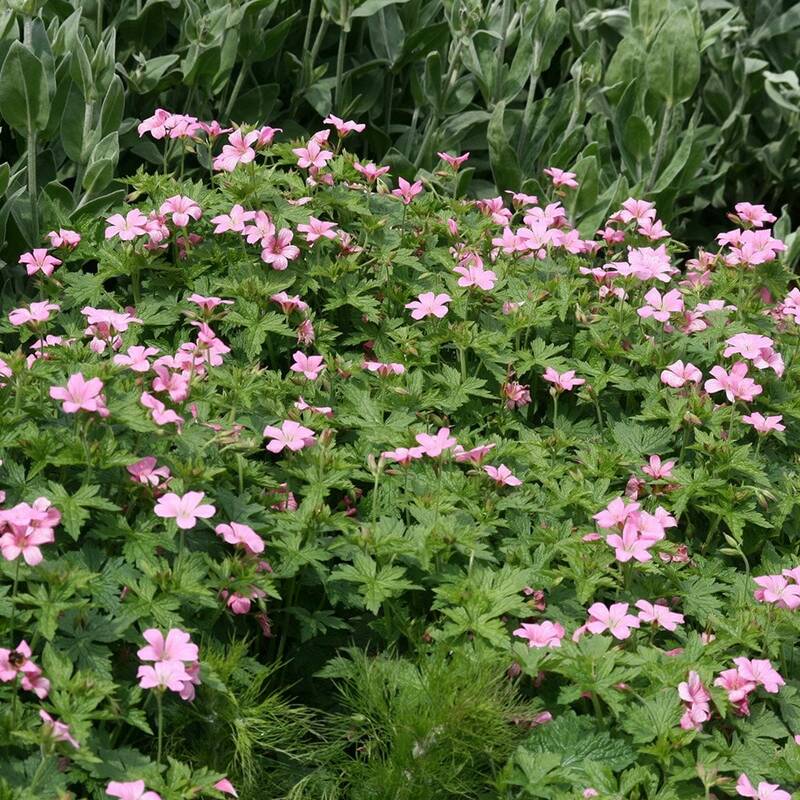 It should flower this summer vigorously and I am looking forward to seeing its fragile, soft pink colours. Excellent in pots, less so in pots of summer colour. Hi. I have a number of bushes and large shrubs in my flower beds. . Some cast shade and some get a fair amount of sun. I am looking for something low growing to place under these bushes and shrubs which will add some colour and provide some nice edging . I am designing a cottage garden so thought geraniums would be a good choice. 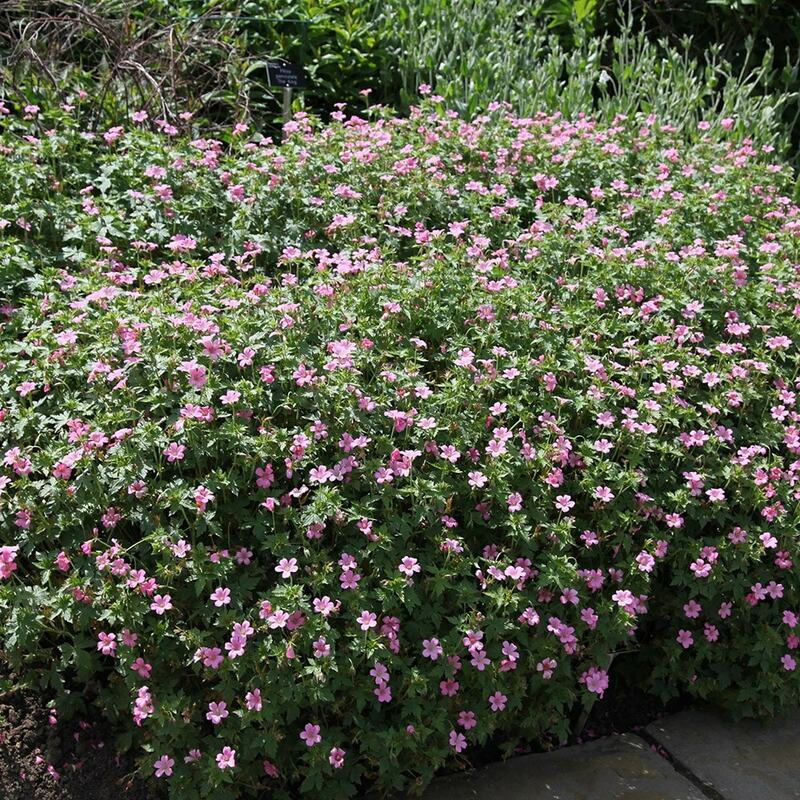 Would this one work and could you suggest any other suitable low growing ground cover for under bushes etc. Also how quick do they grow and how many might I need. Many thanks. Carole.